In this series, the biblical teaching on the kingdom has been surveyed to demonstrate that Scripture conveys that the kingdom is a future reality. We then began noting why this trend of equating God's present work in the church with the Messianic kingdom radically alters God's design for the church. In prior installments we began calling attention to the warnings from a commentator from the past, Clarence Larkin, who noted at least five consequences that "kingdom now" theology has upon Ecclesiology, or the doctrine of the church. The first four of these five warnings have been discussed in prior installments. First, "kingdom now" theology causes the church to drift into a Social Gospel agenda favoring holistic redemption of societal structures in lieu of fulfilling the Great Commission. Second, viewing itself as the kingdom of God upon the earth causes the church to become at home in the world in contradistinction to the New Testament portrayal of the church as a mere pilgrim passing through both temporary and alien territory en-route to her ultimate eternal destination. Third, because there are not presently and numerically enough Christians necessary to establish God's kingdom upon the earth, it becomes necessary for the church to find common ground with those who do not share its biblical convictions in order to build the political coalition needed to implement a "kingdom now" social agenda. Fourth, Larkin observed that the discarding of the study of Bible prophecy naturally takes place when "kingdom now" theology gains a foothold in the church. Let's now move on and examine Larkin's fifth concern. Ideas have consequences. "Kingdom now" theology has a negative impact upon one's view of Ecclesiology or the doctrine of the church. Viewing the church as the kingdom shifts the focus of the church beyond God's intended design. As well noted by Clarence Larkin nearly a century ago, if "kingdom now" theology should get the upper hand in the church, it will confuse God's original purpose for the church in at least five fundamental ways. The church will lose its purpose and thus forfeit its power. The church will no longer see itself as a mere pilgrim passing through Satan's domain. Rather, it will begin to view itself as being at home in the world. Moreover, the church will forge alliances with groups that do not share its core biblical convictions so as to foster the political alliance necessary in order to usher in a "kingdom now" agenda. The church will also cease emphasizing Bible prophecy. Finally, the church will involve itself in building Satan's kingdom rather than God's kingdom. Beyond these concerns, there exists yet another area of monumental change in the life of the church that will be ushered in when the church embraces "kingdom now" theology. This area relates to the modern-day signs and wonders movement. There exists today within the body of Christ an intramural debate concerning the perpetuity of spiritual gifts. Cessationists maintain that the revelatory gifts (prophecy, knowledge, tongues, interpretation of tongues, etc...) and confirmatory gifts (miracles, healings, etc...) ceased with the closing of the New Testament canon at the conclusion of the first century while the edificatory gifts (teaching, mercy, giving, leadership, etc...) remain. Christians of the Charismatic and Pentecostal variety, on the other hand, remain firm in their conviction that all of the gifts of the Holy Spirit mentioned in the New Testament are fully functional and operational within the body of Christ today. While I remain in the Cessationist camp, I continue to have a friendship with and appreciation for many of my brothers and sisters on the other side of this theological divide. My real point of contention here is against a type of hyper-Pentecostalism, which contends that signs and wonders are an absolute necessity in order to win someone to Christ. This approach is sometimes referred to as "power of evangelism." Such hyper-Pentecostalism places such an emphasis on the confirmatory and revelatory gifts as well as the necessity of accompanying signs and wonders that it transitions from being an issue to the central issue, thereby causing all other ecclesiastical issues to pale by way of comparison. Although not all Pentecostals are "kingdom now" theologians, it is important to understand that the above described hyper-Pentecostalism is ultimately rooted in "kingdom now" theology. The reason for this nexus between the kingdom and signs and wonders is a simple one. The prophesied kingdom will be a time of unprecedented miracles, signs, and wonders. For example, of the future kingdom, Isaiah 35:5-6 predicts, "Then the eyes of the blind will be opened, and the ears of the deaf will be unstopped. Then the lame will leap like a deer, and the tongue of the mute will shout for joy." If the kingdom, a predicted time of unprecedented miracles, is now a present reality, then the present age should also be a time of unprecedented miracles. In fact, these miracles should be paramount as well as the centerpiece of all modern ministry activity. Such hyper-Pentecostalism can be found in the mentality and activities of the Vineyard movement. While not painting with too broad a brush since not all Vineyard leaders or members represent what could be classified as hyper-Pentecostalism, it is fair to say that a strong dose of hyper-Pentecostalism resides today within the Vineyard movement. 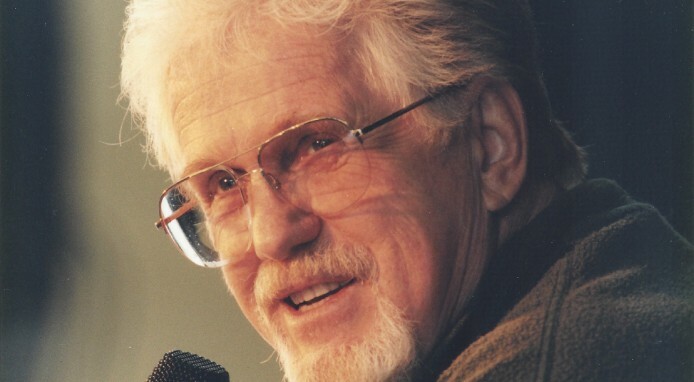 Interestingly, the late John Wimber, the movement's founder, was heavily influenced by "kingdom now" theology. According to Wimber's own concession, he derived much of his views of the kingdom from the writings of George Eldon Ladd. Ladd taught a view called "Historic Premillennialism." Among other things, the view stands for the proposition that the kingdom is "already but not yet." While contending that some form of the earthly kingdom will ultimately come in the future millennial reign of Christ, the kingdom had also already been inaugurated in spiritual form in the present age. Ladd maintained that Jesus was currently seated and reigning on David's Throne in heaven orchestrating this present spiritual form of the kingdom. Although as mentioned earlier not all Charismatics and Pentecostals accept "kingdom now" theology, Wimber was a strong proponent of it. He was explicit in linking his belief in modern-day signs and wonders to a present manifestation of the kingdom. Note the following statement by Wimber in his book Power Evangelism . The more open someone becomes to "kingdom now" theology, the more he will naturally move in the direction of hyper-Charismatic and Pentecostal theology. Clarence Larkin, The Second Coming of Christ (Glenside, PA: Clarence Larkin Estate, 1918), 51. Dave Hunt, "Kingdom/Dominion Theology-Part 1," online: https://www.thebereancall.org/content/kingdomdominion-theology-part-i, February 1, 1987, accessed 12 July 2015. John Wimber and Kevin Springer, Power Evangelism , (Minn.: Baker, 2009), 19.